Spencer Hill Middle Grade, 9781937053321, 200pp. Finn (not bleedin' Finnegan) MacCullen is eager to begin his apprenticeship. He soon discovers the ups and downs of hunting monsters in a suburban neighborhood under the demanding tutelage of the Knight, Gideon Lir. Both master and apprentice are descendents of the Tuatha De Danaan, a magical race of warriors from Ireland. Scattered long ago to the four corners of the world, the De Danaan wage a two thousand year old clandestine battle with their ancient enemy, the Amand?n, a breed of goblin-like creatures. 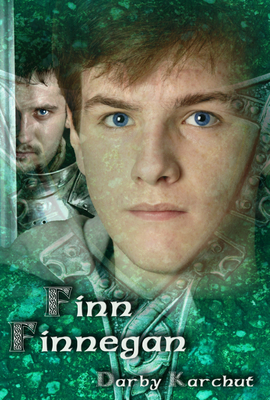 Now with the beasts concentrating their attacks on Finn, he and his master must race to locate the lost Spear of the Tuatha De Danaan, the only weapon that can destroy the Amand?n, all the while hiding his true identity from his new friends, Rafe and Savannah, twins whose South African roots may hold a key to Finn's survival. Armed with a bronze dagger, some ancient Celtic magic, and a hair-trigger temper, Finn is about to show his enemies the true meaning of fighting Irish. Award-winning author Darby Karchut has long been fascinated by mythology and hero stories from around the world. Drawing from extensive knowledge of world cultures, she blends ancient myths with modern urban life to write stories that relate to young teens today--snark and all. She currently lives in Colorado Springs with her husband, where she teaches at a junior high school. She enjoys running, biking, and skiing the Rocky Mountains in all types of weather, and owns more backpacks than purses.